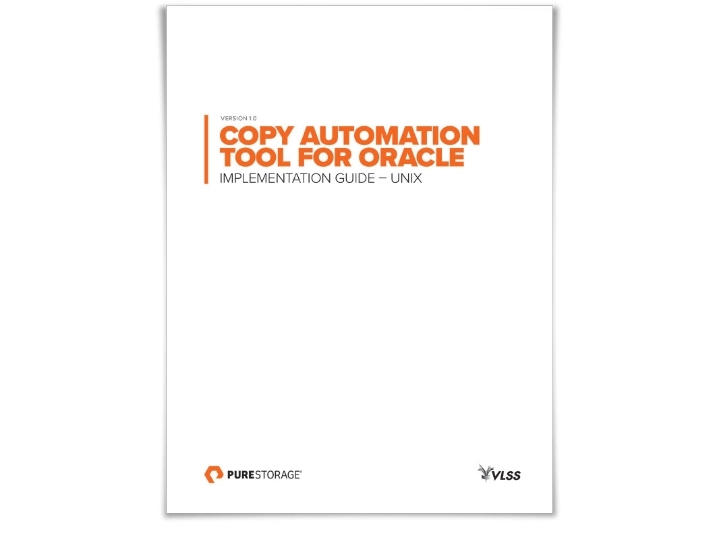 Reduce Oracle database copy time by up to 90%. 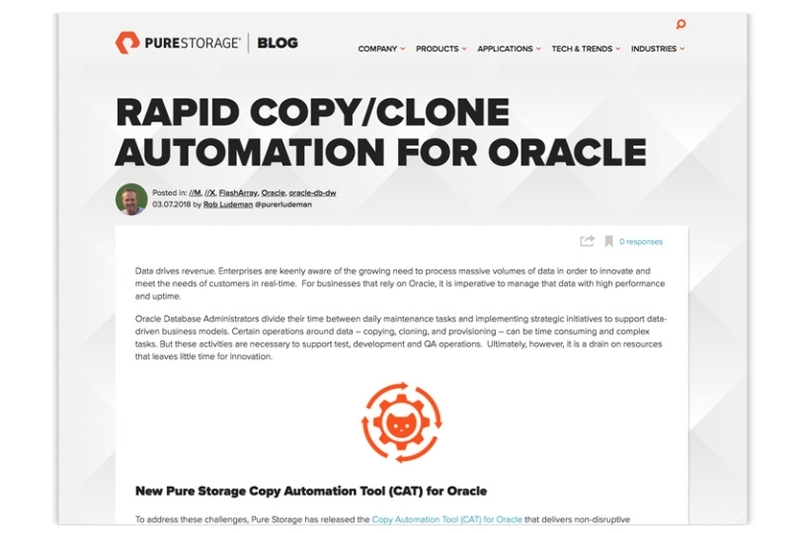 Transform your Oracle database operations with Pure’s unique Copy Automation Tool (CAT) for Oracle – it’s included at no additional charge with every FlashArray. CAT for Oracle was developed by us, VLSS, and is made available as-is. However, we are happy to assist or customize under a separate consulting engagement. Where traditional database copy tools can be complex and a drag on primary database processing tasks, CAT for Oracle makes copy, clone, and refresh tasks simple and fast. Have a look at the benefits of CAT in-depth.